Not so long ago, the nation would have been outraged at how so many media outlets botched the answer to a simple question last weekend: Is Joe Paterno dead? How do you get the answer? You call a reliable source, such as a family member, the Penn State University media relations office or the hospital in which Paterno was being treated. One or two calls, and you have an answer. So how did so many media outlets get sucked into reporting last Saturday evening that Paterno was dead, when he in fact died at 9:25 eastern time Sunday morning? You can read a full account here; the short version is that the university’s student news website, Onward State, ran a story indicating that the university’s football players had received an email informing them that their former coach had died. Various media outlets, including CBS Sports and the Huffington Post, ran with the story. 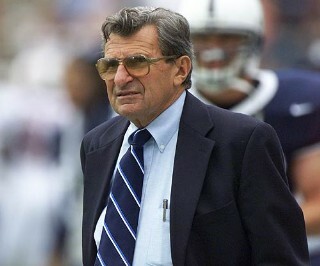 To their credit, organizations like the Associated Press and the New York Times waited until Paterno’s death had been confirmed by reliable sources. The editor of Onward State apologized for the error and, in a show of integrity, resigned. This is a perfect example of why we need responsible, disciplined newsmen and women. Fortunately, this story had no huge consequences for society. Paterno’s death wasn’t an occasion for international warfare or economic catastrophe. Other stories, however, can have such consequences, and we can’t have huge media organizations relying on casual Twitter posts and student websites as sources. They can be leads. They can indicate that something’s going on. But then, real media organizations have to do the real work of nailing down the truth. If we lose accurate reporting, we’ve lost the very currency we use to debate and make intelligent decisions as a society. Joseph Pulitzer used to lecture his reporters constantly about the need for “accuracy, accuracy, accuracy.” Accuracy was important in his day, and it’s important now. Let’s hope that our major media outlets use the Paterno incident as an occasion to rededicate themselves to this bedrock principle. This entry was posted in Communications, Society and tagged accuracy, journalism, society. Bookmark the permalink.